One of the hardest things to do is handle pressure, especially when shooting a good score. But the reward is a great feeling of accomplishment when you can put a good score on your scoresheet. NEVER GIVE UP! Remember, even if you aren't successful at putting a good score together, you can take solace in the fact you did not cave in to defeat and didn't give up. I’ve often been asked how I deal with pressure when shooting a good score. There is no easy answer to this question, and I can tell you my experience has been that handling the pressure of a good score is one of the toughest things to do. The reward, though, is a great feeling of accomplishment when you are able to put a good score to bed, despite the pressure. What follows are some of my thoughts on dealing with pressure situations and some techniques I have found successful in overcoming the negative effects pressure can have on your score. First, let’s examine what pressure is. I believe it is the anxiety that results from the mind’s fear of doing something wrong. Pressure, therefore, gives rise to negative thoughts that affect your performance and ability to break targets. It causes your mind to suddenly switch from thoughts of breaking targets to thoughts of not missing targets, the latter of which is a negative mindset. Many years ago, I had an All-American and Hall of Fame shooter tell me, “You never really know pressure until you are standing on a post with one shot to go for a one”. I feel that sums it up pretty clearly; it’s the anxiety caused by the fear of looking worse than bad. The good news is pressure is only a perceived attitude that occurs within the mind and, therefore, can be overcome with the discipline of positive thought. Pressure is, after all, a mental thing. Once you accept this premise, you will be on your way to developing the tools needed to manage pressure situations that develop on the firing line. • Pre-shot: Visualize the extreme angles on the post you are standing on. How will I move the gun to get to those targets? • After the gun mount: Get a soft focus over the house. Get your eyes in their correct position for the post you are on. • Calling for the target: Concentrate on seeing the target in the air above the house (more on this later). Try not to move the gun until the target appears, and your mind has had a chance to react to the angle of flight (for me this helps to eliminate bad pulls or cross calls). Then think about making a smooth move to where in space you want to break the target. • Finish the shot: Watch the target break. Concentrate on where you were on the target by watching the pieces and let your mind record it for future shots. Even smoking a target is important to let your mind realize you did everything correctly. You are programming for future success, just like you have been doing for the entire round. • After the shot: Take a deep breath. Reload your gun and clear your mind. Learn to relax your mind for a few seconds before preparing to repeat the above steps on the next shot. Don’t rush or get caught up in the squad timing. Pace is very important to finish a good score. At this point, you are probably thinking: How does he have time to think about and execute all of these ideas and thoughts? Exactly my point! If you are thinking about your own personal shot routine, and you are really working hard on your focus for that routine, your mind will not have time to look into the future and think negative thoughts like trying not to miss. Keep your mind focused on the present and BELIEVE you can be successful! One of my early mentors in trapshooting was a many time All-American and Illinois Hall of Fame member Gene Bauer from Chicago. Gene always stressed to me the importance of patience when shooting. Those of us who knew Gene also knew he shot in a very deliberate fashion, working the hardest he could on each and every shot. His advice never really sunk in until I read an article published in this magazine about three years ago. The article was an interview with the great Britt Robinson. In the substance of the interview, Britt commented he felt many shooters got caught up in the timing of the squad, calling for and shooting before they were really ready. His advice in the article was “don’t call for the target until you are ready to see it”. 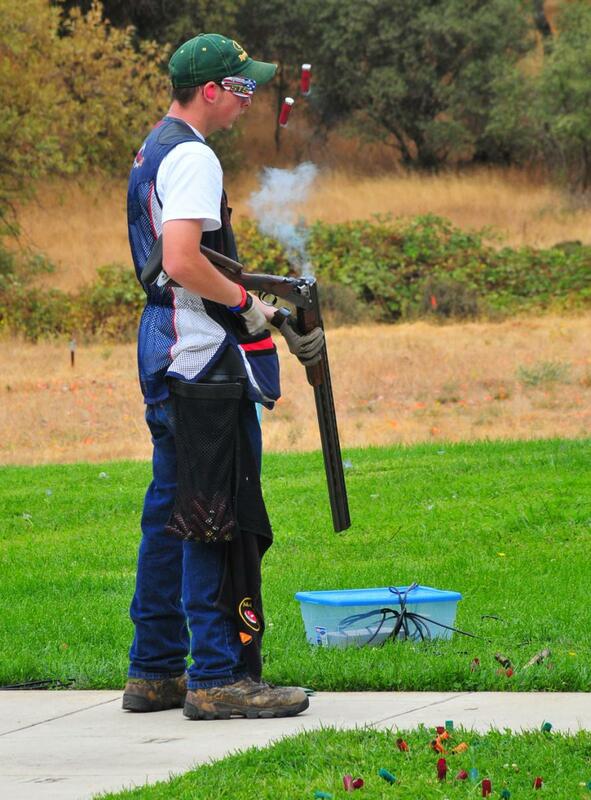 When I first read this article, I was competing in the Grand American and struggling with my shooting. No matter how hard I tried, every event was inconsistent and a real disappointment to me. After reading this quote and thinking about it and focusing on it during my shot routine, my scores improved dramatically! I finally came to understand what Gene had been trying to tell me. This is why pace is so important in finishing a good score. Sometimes we tend to get in a hurry to just get the shot over with, to finish the event and alleviate the pressure of finishing a good score. So, when it comes to working on a good score remember, BE PATIENT! Before you call for the target, make sure your eyes are in the right position and before you call…BE READY TO SEE THE TARGET! Usually all this takes is just a few tenths of a second to allow your eyes to focus and your mind to engage before calling for the target. Everything I’ve discussed so far probably sounds like a lot of work. Of course, it is! Sometimes no matter how hard you work, you might miss a target. Perhaps a puff of wind affected your stance or the target’s flight. Maybe you were unlucky and got a weird angle or off-color target. Maybe you got a broken target, and it interrupted your routine, causing you to rush the shot. Maybe you just made a bad point. This is all part of the sport we love so focus on being positive. Whatever happens remember: DON’T GIVE UP! The moment you give up is the moment defeat knocks on your door. Don’t let it in. Remember my friend’s quote about standing on a post with one shot to go for a one? I bet if you have ever been in that situation, you worked harder than ever and went right to the wall, to break that last target. So remember, even if you are not successful at putting to bed a good score, you can take solace in the fact you didn’t cave in to defeat and you didn’t give up. That can be victory enough. Being unsuccessful might have just been a part of your journey through our sport. 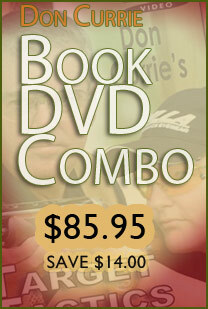 Enjoy it and learn from it with the goal of using the experience to become a better shooter. Allow me to mention one last thing for your consideration. There is NO SUBSTITUTE FOR EXPERIENCE. The more experience in dealing with pressure situations, the better you will become at the art of surviving a winning score. Remember your first 25 straight, your first 100 or 200? Remember your first 50 in doubles or the first yardage you earned? Once you become accustomed to breaking good scores, the pressure lessens. Experience lowers the anxiety because of your belief you can do it. Therefore, when you practice, enjoy the pressure of a perfect round, work hard to accomplish it. Sometimes it can even be a simple thing like working hard to break all of the targets on the handicap post you are having some trouble with. Practice with a purpose and not just to feel the gun go off. Dean Townsend attended his first Grand American in August of 1968. In August 2017, he attended his 50th Grand American. He shot his first Grand American in 1970 at 12 years of age. He currently holds five state titles in his home state of Ohio and has been named to over 20 All-Ohio state teams. 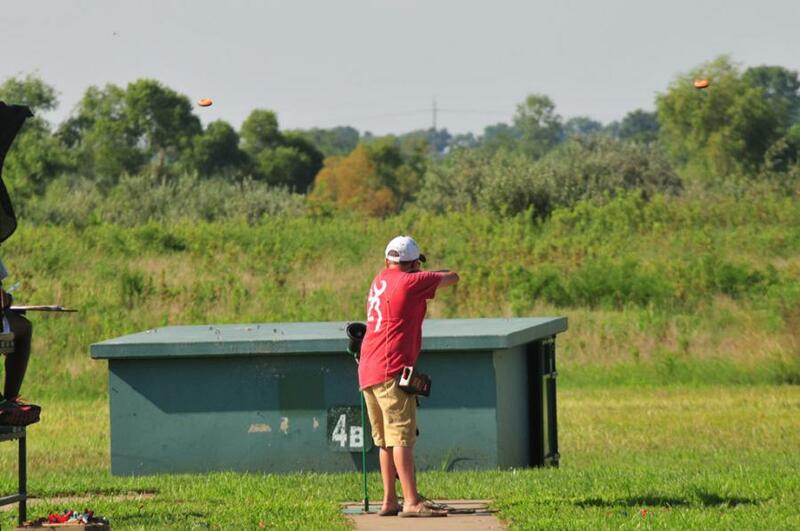 He has also served two terms as a member of the Ohio Trapshooting Board of Directors, as well as two years as Ohio ATA delegate; been a member of eight different ATA All-American teams including, Sub-Jr, Men’s second team and both 1st and 2nd Sub-vet teams. In 1993 he was appointed to the ATA Central Handicap Committee by then President Jim Bradford. He served in that position for 17 years until 2010. At that time, he was asked to serve as Chairman of that committee, a position he currently holds. He is also a six-year member of the ATA rules committee. During the past four years, he has been a member of Blaser-USA’s pro-staff, assisting with customer service issues and helping shooters set up demo guns at several major tournaments around the country. He retired after 35 years of teaching high school and college chemistry in May of 2015.